Why attend NLP Centre of Excellence's NLP Trainer's Training and Evaluation? Would any of the following be of value to you? If you ticked just one box you are making a good investment of your time and money. If you ticked more than one, NLP Centre of Excellence ltd NLP Trainer's Training is most definitely for you! What does it take to be a most excellent and successful Trainer of NLP? What's the content of the NLP Trainer's Training? How is the NLP Trainer's Training structured? The Trainer's Training itself is 8 days in duration. This is followed by a 2-day evaluation process. Which is run over two blocks of four days and 2 days consecutively or one weekend per month over 5 months. During the first 8 days you'll be presenting and getting feedback from Certified NLP Trainers. Every technique you learn you'll immediately get up in front of an audience and practice. The training uses lots of hypnotic and accelerated learning methods so, before you know it, you will be presenting using your new skills without even thinking about it. You'll also learn the secrets of performing demonstrations and selling training programmes. What happens during the 2-day Evaluation and Certification? Firstly you complete a closed book written exam on the content of NLP Practitioner and Master Practitioner Training. You have all day to complete it, though most people finish much earlier than they expect. Provided you know your NLP, you'll find it easy. On two of the remaining three days you'll be presenting. You will do two different 30-minute presentations taken from the content of the traditional NLP Practitioner or Master Practitioner curriculum. You will receive detailed feedback on each of your presentations. The content of each presentation is your choice and you get lots of time to practice during the first 10 days. The remaining day is Demo Day. 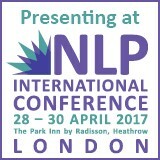 During the day you will present a live demonstration of a Practitioner or Master Practitioner NLP pattern. You'll get to choose your own demonstration subject though a Master Trainer of NLP will tell you which particular demonstration to perform. During the first 10 days you will learn how to make every demonstration work perfectly every time. The course is open to anyone who has an NLP Master Practitioner certificate and who we believe would be appropriate for the course. We will interview all applicants who we do not know or who we have not trained. The course takes place at our centre in Manchester. There is accommodation nearby & we have links with affordable accommodation in the area. Why Attend Our Trainers Training? To take your NLP knowledge to new levels, and become even more fluent in using NLP. It's one thing to know it well enough to use it - it's another to know it well enough to teach it. To run NLP Practitioner and Master Practitioner courses. If this is something you would like to do, in our opinion it is one of the best ways to make a difference. You know how much impact NLP had in your life, don't you? Well, imagine being able to create that for others! Even if you don't plan to run Practitioner or Master Practitioner courses, preferring to run for example, in-house NLP-based communication courses, you'll have an recognised certificate, which will help you stand out from the competition. And if your organisational client happens to want, for example, an in-house Business Practitioner, you'll be able to provide it, which will far exceed the cost of Trainers Training. Having an IANLPC Training certificate will help distinguish you from other trainers and coaches. You can gain an IANLPC certificate to use NLP in up to two of four fields- business, sport, coaching and health/therapy. We will advise you on how to take what you have learnt forward commercially - 'the business of training' standards. We are committed to excellence. As one of our Trainers, you will know that you know the material! 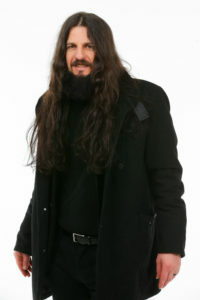 "Having studied with Jimmy I went on to create my own successful coaching business. Jimmy has been a great mentor and support to me over the years and is always encouraging me to achieve more. Jimmy is extremely knowledgeable in his field and he is passionate and creating positive change in the world. I would highly recommend Jimmy."